The toy department is the most awesome place in a department store. What a great place to be when shopping somewhere. What is even better? Christmas is right around the corner and how many toy aisles will you go down to find that one figure you need for your collection or a gift to someone for the holidays? Or are you just beginning to collect figures or bust (statues) to make your comic book base hobby even more diverse. Let’s discuss some of the basics to help you on your way into the realm that is figure collecting. Let’s get started! If you are new to the toy collecting aspect of comic book industry, this part can be just as big as the comic collecting. As with any hobby the first question is “where do I start?” I would suggest starting off with your favorite character, more than likely you will be able to find the character of your choice. For starters, let say want to find the shi’ar empire’s captain of the Imperial Guard, Gladiator. 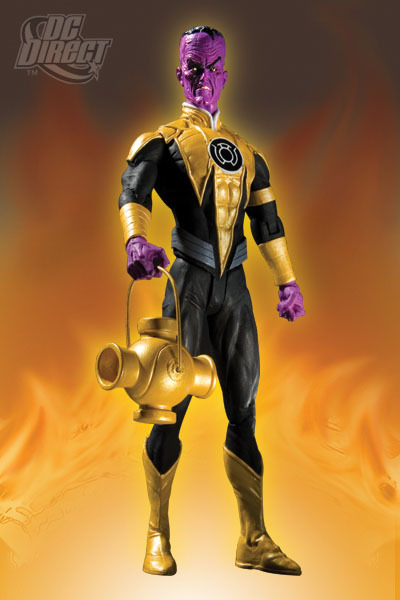 The collector should start off by just doing a search for a character in a search engine and see what comes up for figures that have been made. Gladiator has not been in to many toy lines over the years, but what do you know. “You’re new to this.” Come to find out Gladiator was just put in the Marvel universe’s series 3. The next part would be to get this figure somehow. The collector could either go to the store or order online. This is the simplest way to get your collection going. In future segments I’ll show show you more advance collecting skills for shopping, buying, storing, and managing the figures in your collection. Condition of the case. You do not want a smash up backboard or crystal casing (The plastic around the figure). Paint job or detail of the figure. If a store has 3 of the same figures. Look at the paint job on all 3 of them. Most of the time there are differences. The points of articulation (POA) are straight and look right on the figure. The character does not need a backwards hand or foot. · Try to avoid price tags on the board. These can be a pain to take off. A 30 gallon container for unopened ones or a display case for opened ones. Smoke free households are always a bonus. Be careful figures and bust can take up a lot of space, if you can try to fold down boxes for bust. These are the basics of what you need to start this hobby. I hope you enjoyed this column and look forward to guiding you through collecting. Join us next month for more. If you have any question on anything about figures, busts, or comic books in general. Please stop by the StashMyComics.com forums. The people there are more than happy to assist you. I have to say this looks like an interesting hobby but I’ll have to pass for now. No space and no money = no more collections.